When a GETTIER strike security team comes to your site to manage a labor management dispute, you can expect them to arrive with disciplined labor strike preparation and ready to provide professional labor dispute protection, consistent with your strike security objectives. With GETTIER, the nations leading Strike Security Company, you can minimize the costly disruptions to your business during a labor strike and provide the necessary protection to your salaried employees, executives, as well as safety for replacement workers or your temporary labor force. Facility perimeter protection during the dispute. Provide labor dispute management/law enforcement liaison. Videotaping picket line activities to gather evidence for injuctive relief. 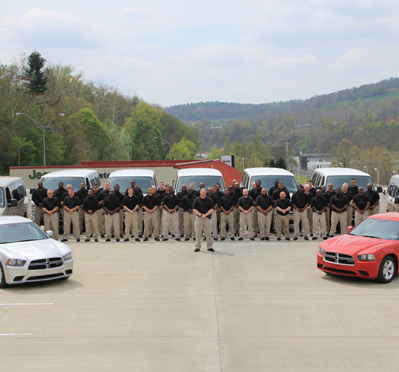 Escorting employees and vehicles safely in and out of your labor strike site. Effectively integrating these important labor dispute protection procedures into your operations requires a high degree of strike security discipline. This means strict adherence to a code of labor management dispute conduct that guides every member of your GETTIER strike security force. In the stressful environment of a labor dispute, your GETTIER strike security team maintains order and avoids confrontation during your strike by keeping communications with labor dispute pickets to a necessary minimum. GETTIER allows you to focus on resolving the dispute with the bargaining union leaving the safety and security of your replacement workers and facilities to us. GETTIER provides these useful strike preparedness tools to help you achieve maximum results with your pre-strike planning efforts. The information contained within is of a confidential nature. Distribution and dissemination of information contained herein should be on a “Need to Know Basis Only”.